Chris Brown's daughter Royalty Brown is learning the ropes to this celebrity thing. 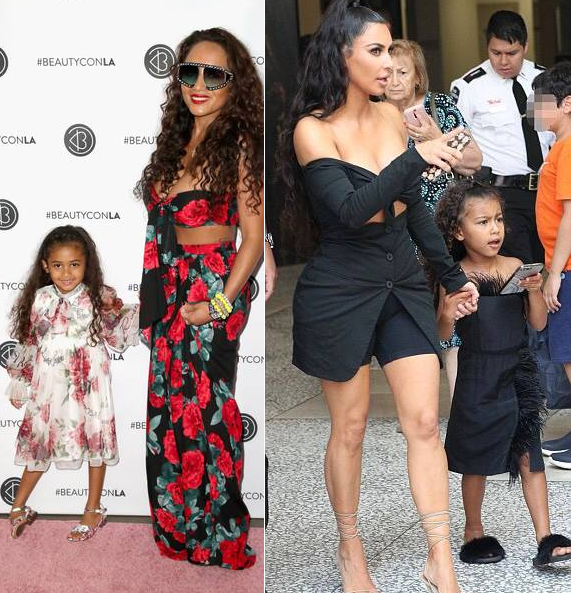 The 4-year-old hit up the 2018 Beautycon Festival LA held at the Los Angeles Convention Center with her mother Nia Guzman yesterday. And the YBF cutie totally stole the spotlight! 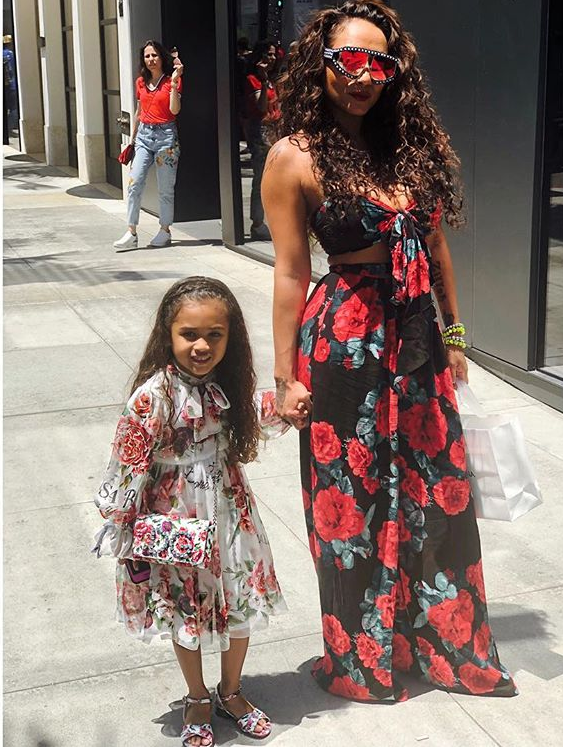 Little Royalty was dressed to the nines in a floral Dolce & Gabanna dress paired with a matching crossover bag and floral sandals. How freakin' cute?! Her mother looked gorge in florals as well. One thing is for sure, Royalty is not shy and she seemingly loves the camera. 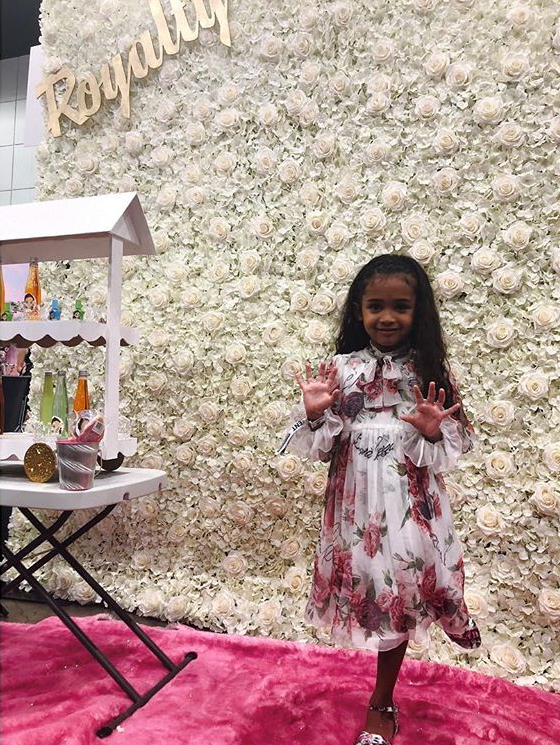 Breezy's daughter hit the pink carpet like a pro, serving up poses with the best of them. 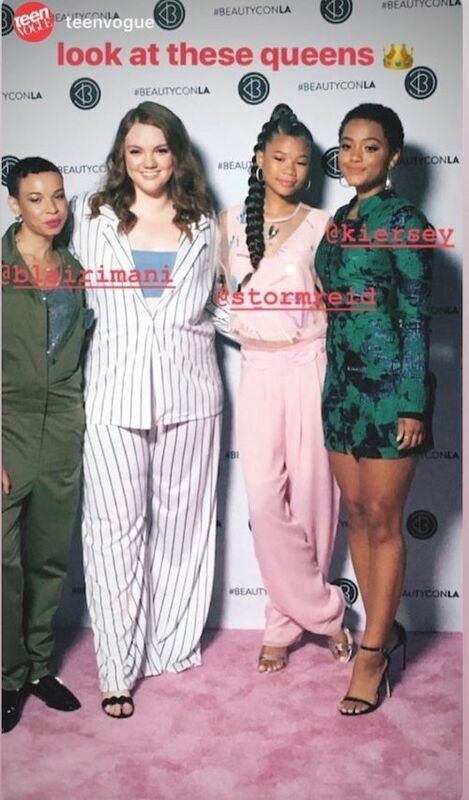 A Wrinkle In Time star Storm Reid, styling in a pink Giorgio Armani outfit, really enjoyed herself and felt empowered after attending the event. "A place where we can all be ourselves. Unapologetically. A place where we can all feel BEAUTIFUL. Thank you @beautycon for having me. 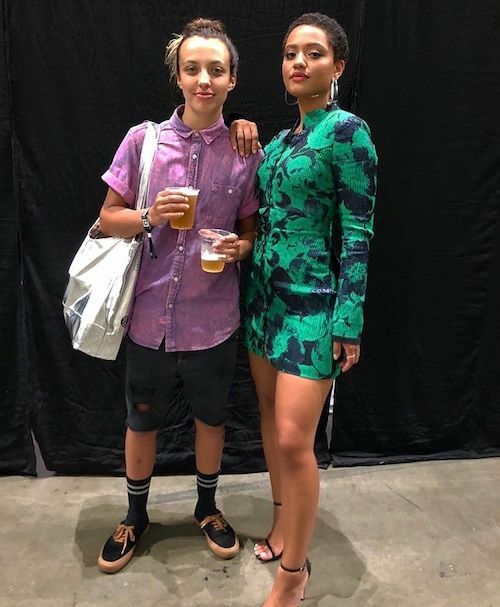 I had an amazing experience," she captioned on Instagram. DOPE star Kiersey Clemons, who just wrapped filming Blumhouse horror movie Sweetheart, turned her girls night out into date night bringing "BAE" along with her for the fun. "When you drag bae to Beauty Con~ @beautycon Thank you for having me moderate your Gen Z Realness panel! Beers and moderating is fun, beers in moderation, nah," she captioned on Instagram. Whoa! 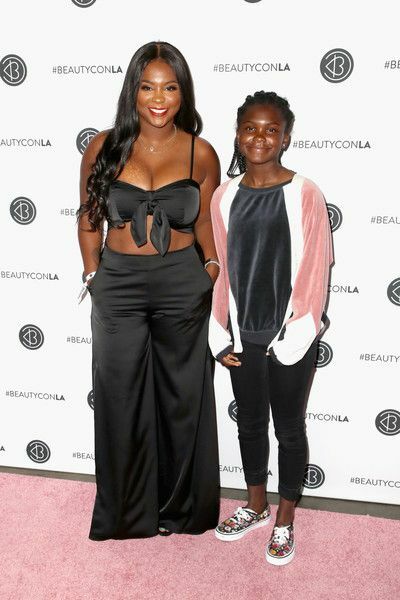 We almost didn't recognize Torrei Hart. Not that she didn't already look great, but she looked AH-MAZING on the pink carpet. For some company, Torrei brought her daughter Heaven Hart along. North West did not have time for the shenanigans. Ice cream is life! 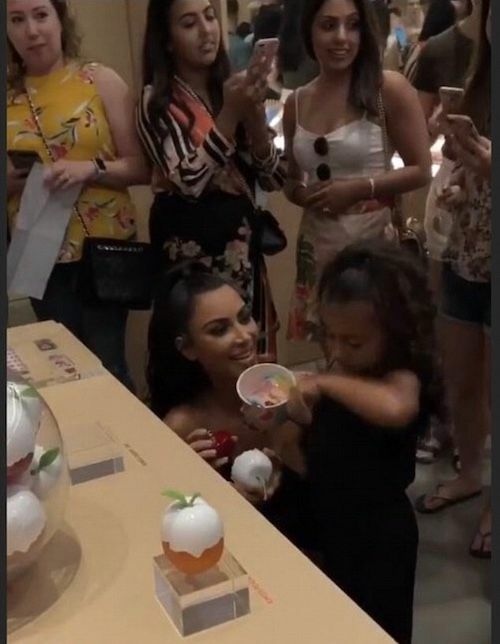 Yesterday, Nori tagged along with her mom Kim Kardashian West - rocking Dolce & Gabbana - to "pop up" at her BeautyCon LA pop up store inside Westfield Mall to promote her KIMOJI fruit fragrance collection. North was twinning with her mother wearing all black and styling her hair like hers. Inside, Kim sprayed some of her new perfume on Nori and...let's just say she wasn't impressed. The 5-year-old just seemed over it all. Relatable.